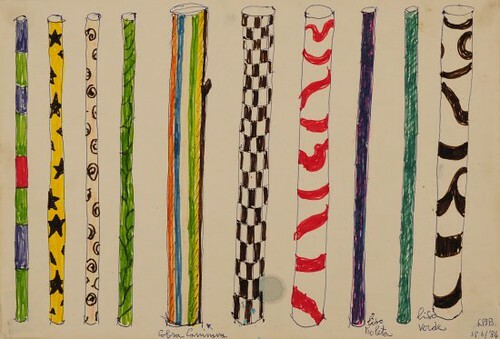 An exhibition, drawn from the Ramo Collection in Milan, that explores drawing as an independent art form. Including works from some of the most dominant figures of twentieth-century Italian art, such as Umberto Boccioni, Giorgio de Chirico, Lucio Fontana, and Pino Pascali. Curated by the Ramo Collection’s Irina Zucca Alessandrelli and staged in collaboration with Museo del Novecento in Milan. 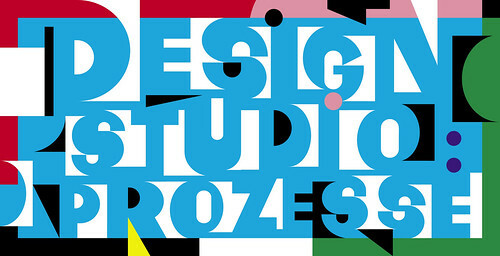 An evening (7 – 9:30pm) to see and discuss a new body of work by Commercial Type. The foundry have been searching through the archive that is St Bride Library, discovering old designs and hidden gems to create a set of new typefaces. Partners Paul Barnes, Christian Schwartz, designers Greg Gazdowicz and Tim Ripper will be talking about how this all came about. 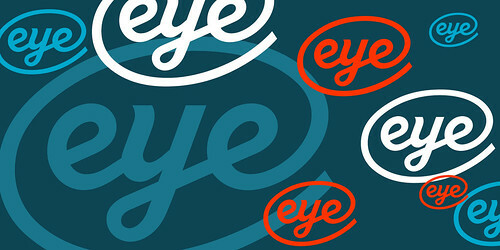 Simon Esterson, art director of Eye, and David Pearson, will join to discuss. Tickets are free but booking is essential. See ‘Type Tuesday: Reputations’ on the Eye blog for an interview with Commercial Type’s Christian Schwartz and Paul Barnes, first published in Eye 82. In collaboration with The Royal Academy of Arts, The Gallery of Windsor presents an exhibition of British artist and Royal Academician Sir Michael Craig-Martin. 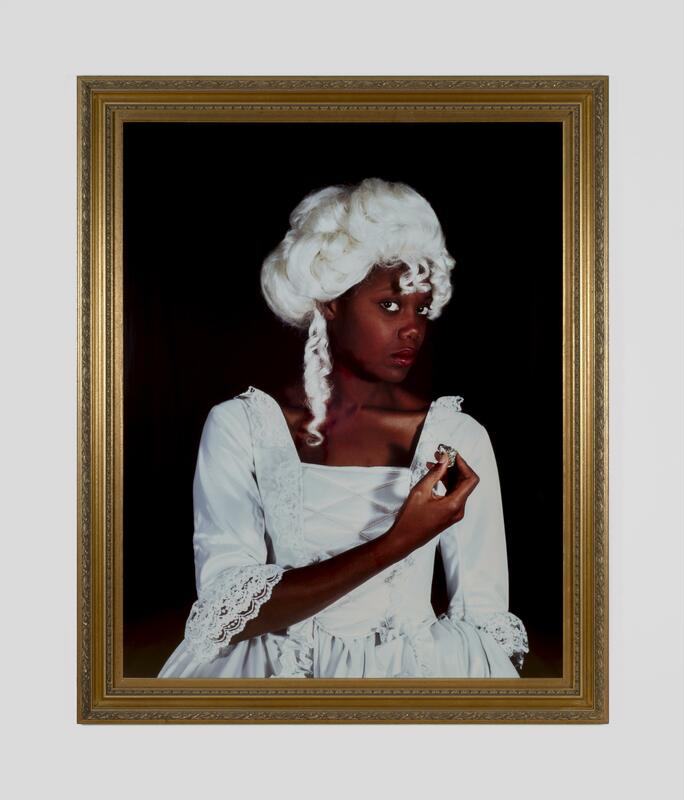 Over 35 paintings, sculptures and prints are displayed, including three new paintings completed in 2018; Untitled (stiletto), Untitled (split-level) and Untitled (wireless). 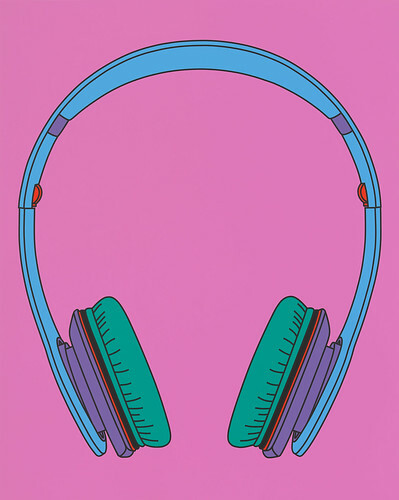 Above: Michael Craig Martin, Untitled (wireless), 2018. To coincide with the retrospective at Tate Britain, Hamiltons will be celebrating photographer Don McCullin’s achievements by exhibiting rare and unseen vintage prints dating back to the 1950s. 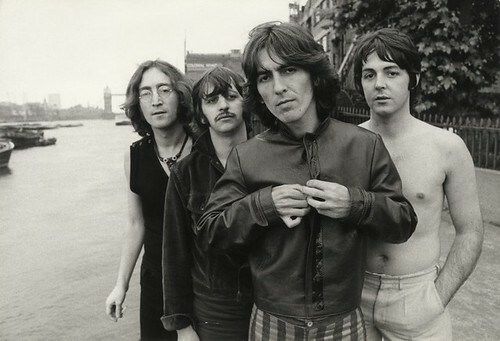 Above: Vintage gelatin silver print. © Don McCullin. The group exhibition Women on View addresses the eroticisation of the female body in advertising photography from the 1940s to the present day, with images by Horst P. Horst, Erwin Blumenfeld, Helmut Newton, Peter Lindbergh, Herb Ritts, Irving Penn, Guy Bourdin, Jeanloup Sieff, etc. 1-6pm, Wed-Sat. Above: Michel Pérez, Study for Aubade, 2007 (left) and Frank Horvat, Model with Mask, 1958. © the artists. An exhibition devoted to the work of illustrator, letterer, map maker, architect and decorative artist MacDonald (Max) Gill. 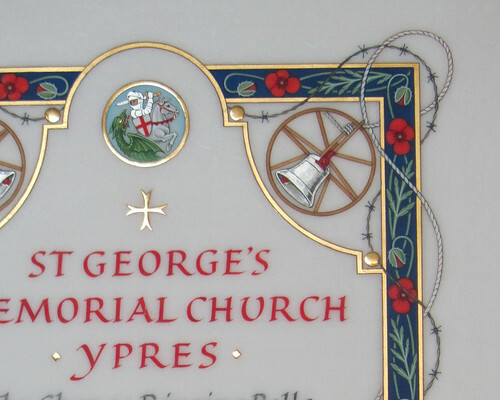 Born in 1884, Gill’s work includes book covers, posters for transport and communication companies and his 1914 Wonderground Map, which hung at every London Underground Station. 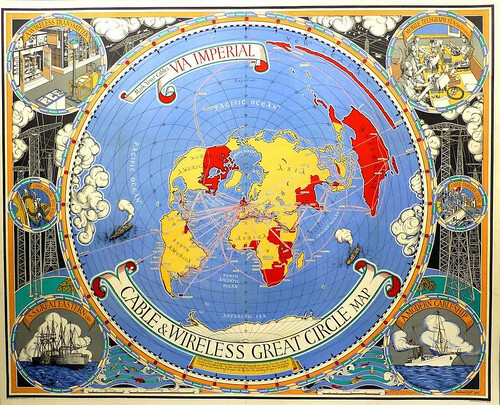 Above: Max Gill, Cable & Wireless Great Circle Map (1945), Private collection. 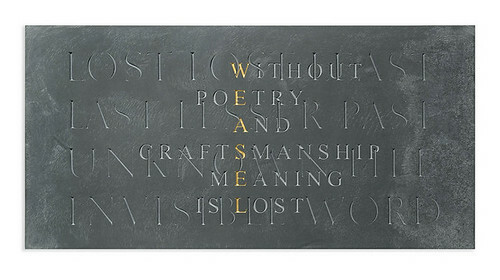 Courtesy Ditchling Museum of Art + Craft. An exhibition documenting the impact of the printing revolution on the economic and social development of early modern Europe. Coordinated by the University of Oxford’s 15cBooktrade project, and curated by the project’s director Cristina Dondi. A comprehensive survey of British photographer Don McCullin. Including iconic photographs from wars in Vietnam, Northern Ireland, and Syria, alongside images of the working classes in London’s East End and the industrial north. 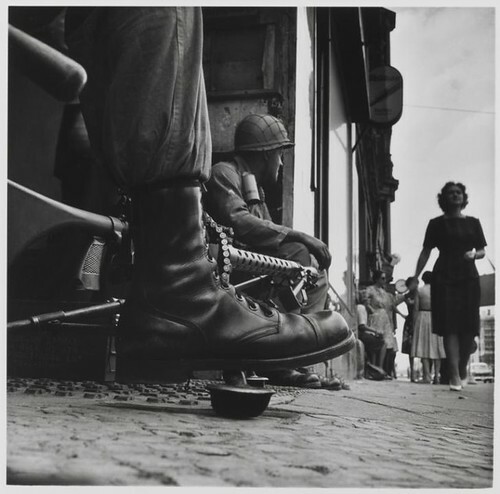 Above: Don McCullin, Near Checkpoint Charlie, Berlin 1961. Tate. © Don McCullin. A study of the early, and formative, years of Diane Arbus, the acclaimed portrait photographer. Initially staged by The Metropolitan Museum of Art, this exhibition draws from the Diane Arbus Archive and features over 100 photographs, many never before exhibited in the UK. Above: Diane Arbus, Jack Dracula at a bar, New London, Conn 1961 (detail). © The Estate of Diane Arbus, LLC. 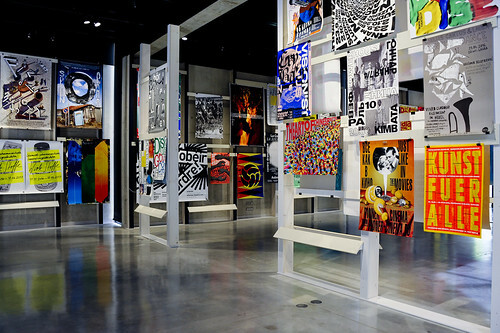 An exhibition of prints by graphic designer and artist Paula Scher. 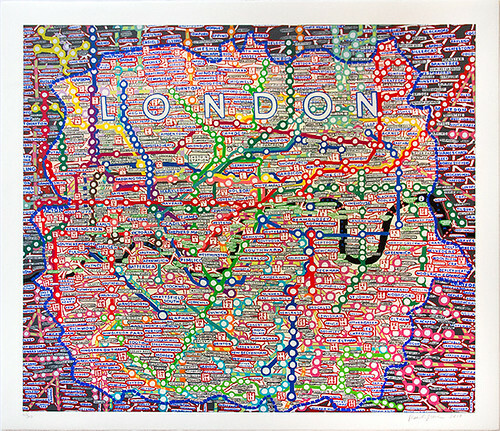 The display will include a selection of Scher’s map paintings, produced between 2008 and this year. 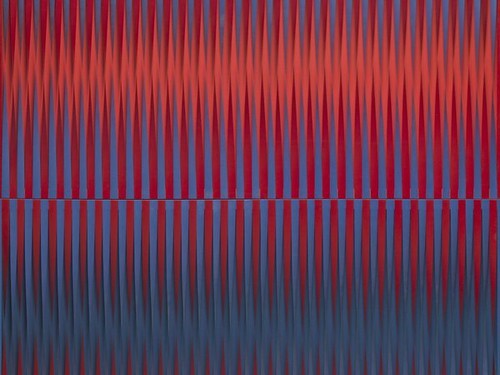 An exhibition that explores Adrian Henri’s ‘continual interest’ in the sound and visuals of urban experience. 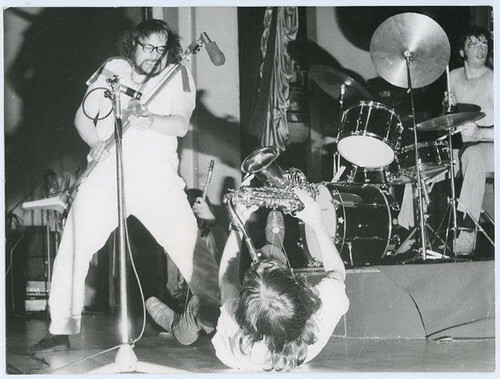 Curated by art historian Catherine Marcangeli, City Poems and City Music examines Henri’s role in connecting 1960s countercultural art, poetry and music, and includes the display of paintings, posters, ephemera and audio-visual material from his archives. ‘Freedom of Movement’ is the theme for the Municipal Art Acquisitions 2018 exhibition. Bringing together 20 selected artists to explore notions of political agency within the field of time-based media – through film, video, performance, dance, theatre, new media, sound and internet art. Above: Basit Mahmood, Monument of Arrival and Return, 2016. Video installation, 9:36 minutes, courtesy the artist. Above: Maud Sulter, Terpsichore, 1989. © Maud Sulter / The Estate of Maud Sulter (Photo: Street Level Photoworks). See ‘Storytelling giant’ in Eye 78. Influential architect-designer Gio Ponti (1891–1979) is celebrated in this first French retrospective exhibition. An exhibition of fifty works, produced and selected by the artistic duo Glibert & George, and curated by Hans Ulrich Obrist and Daniel Birnbaum. 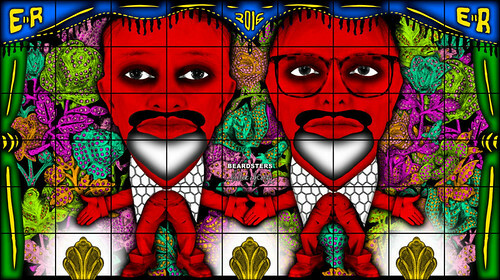 Above: Gilbert & George, Beardsters, 2016. 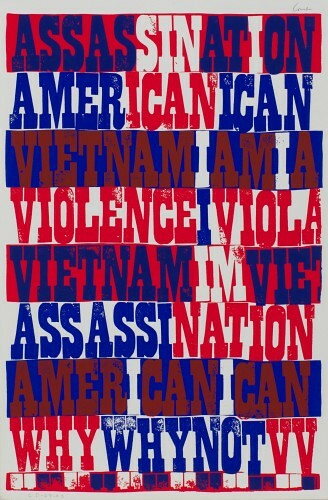 An exhibition displaying the work of pop artist, social activist and nun Corita Kent (1918-1986). 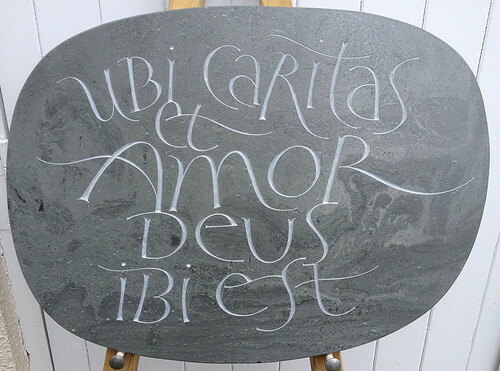 See ‘All you need is love: pictures, words and worship’ in Eye 35. An exhibition of sculptural and collage work by the artist, illustrator and author Oliver Jeffers. Speakers include Rui Abreu, Veronika Burian, Indra Kupferschmid, David Jonathan Ross and many more, with contributions from Paul Barnes, Laura Meseguer, and Pascal Zoghbi. Inspired by The Lost Words: A Spell Book, a catalogue of nature-related words deleted from the Oxford Children’s Junior Dictionary by Robert MacFarlane and Jackie Morris. 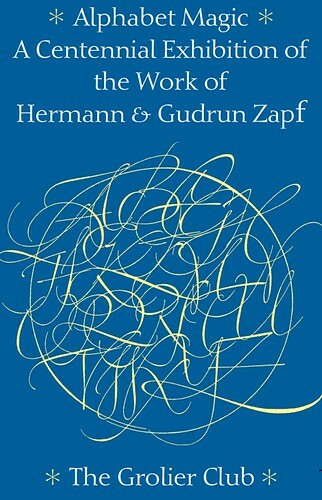 Initially published in 2007, but since updated, this exhibition renders these lost words hand-carved calligraphic pieces. See ‘Words and the natural world’ on the Eye blog. Above: Lina Bo Bardi, maypoles’ Study for ‘Caipiras, Capiaus: Pau-a-pique’ exhibition, 1984. 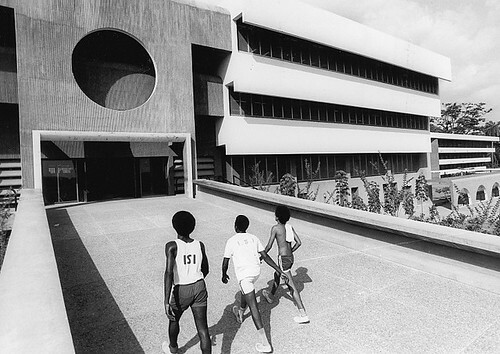 © Instituto Lina Bo e P. M. Bardi. explores the contemporary British identity. Above: (From left) Sikh wedding at City Hall, Cardiff, Wales, 2008, The Perry Family - Grayson, Philippa and daughter Florence, London, 2012 and Sam Levy Village, Borrowdale, Zimbabwe, 1995 © Martin Parr / Magnum Photos / Rocket Gallery. Above: Walter Leblanc, Mobilo Static, 1960 © Estate of Walter Leblanc. 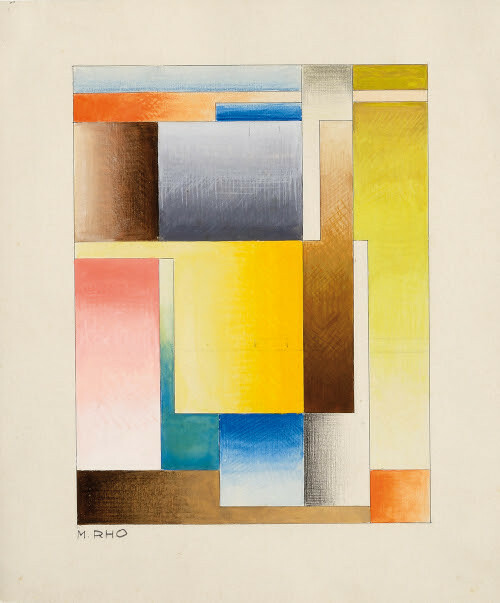 An exhibition that traces the international histories of the Bauhaus that emerged through correspondences, transnational relations, and migration in the twentieth century. ‘Bauhaus Imaginista’ follows the ‘parallel histories’ of avant-garde schools and movements in India, Japan, Mexico, Morocco, Brazil, China, Nigeria and the Soviet Union. Above: Arieh Sharon and Eldar Sharon, University of Ife (Obafemi Awolowo University), Ile-Ife, Osun, Nigeria, 1960s, Arieh Sharon Digital Archive, Yael Aloni collection. 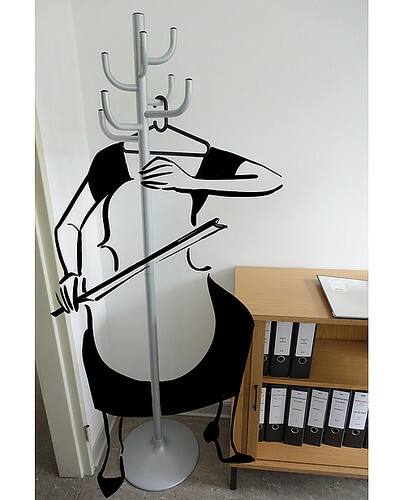 Christoph Niemann’s series of photo drawings for the 2018 / 2019 season campaign of Deutsche Oper can be viewed in their foyer. The show is only open to those seeing an Opera performance. See ‘Storytelling giant’ in the Eye 72. 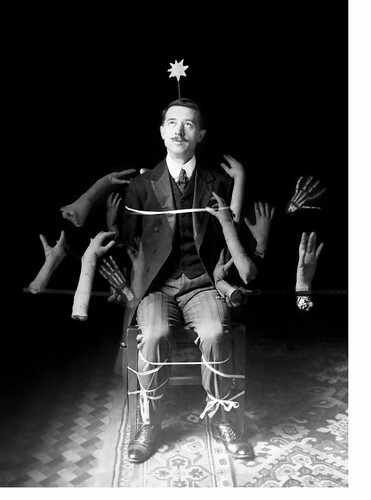 A major new exhibition at Wellcome Collection, is the first ever to focus on the relationship between magic and psychology. Above: Image from the Harry Price Library of Magical Literature, Senate House Library, University of London. 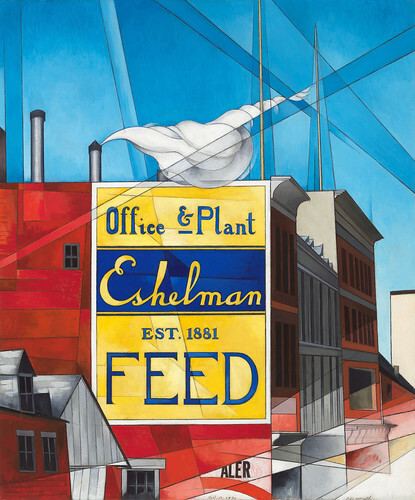 Above: Charles Demuth (1883‑1935), Buildings, Lancaster, 1930. Whitney Museum of American Art, New York. 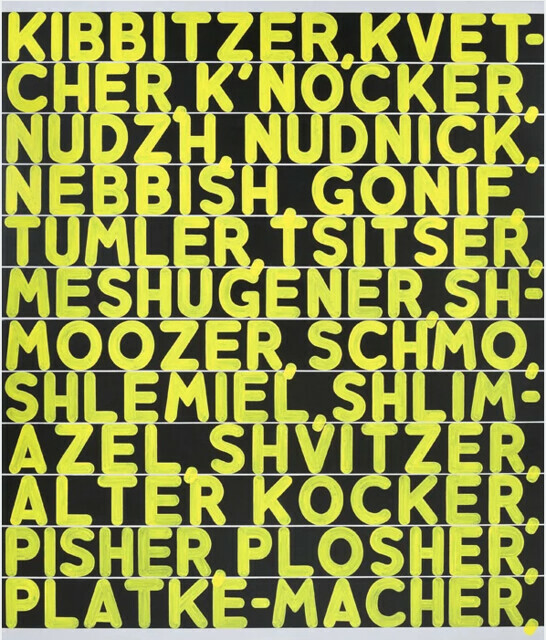 Above: Mel Bochner, The Joys of Yiddish, 2012. Courtesy: The Jewish Museum, New York. An exhibition that maps the interaction between political developments in the GDR and shifting attitudes to Bauhaus design within its tightly guarded borders. 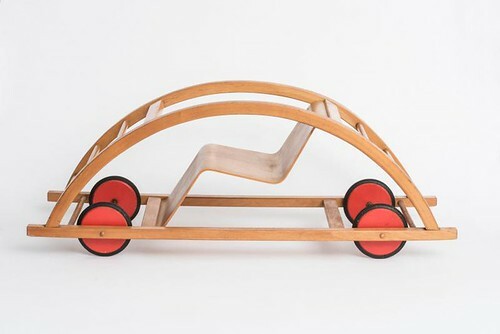 Through household goods, printed matter, architecture and urban planning, the curators assess the application of a functional design ideology east of the wall. The first international retrospective for nearly 50 years on the fashion designer Mary Quant and her revolutionary aesthetic. Focused on the two decades between 1955 and 1975, this exhibition includes over 200 objects, a number of which have never been displayed before. 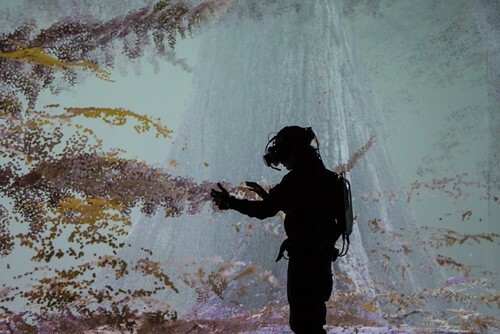 An interactive exhibition that spans five milliennia to explore the past and consider the future of writing. An insight into director Stanley Kubrick’s vast archive of props, costumes, set models and rare photographs. The exhibition will also trace the design story behind Kubrick’s work and his fascination with design and architecture, including his collaborations with Hardy Amies, Eliot Noyes, Milena Canonero and Saul Bass. 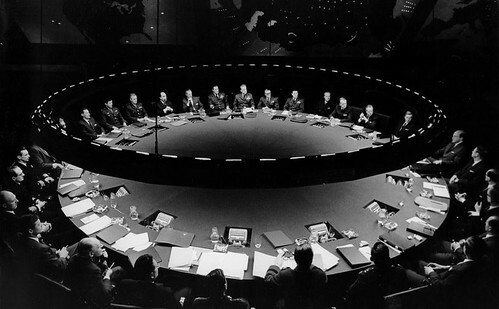 Above: Still from Dr. Strangelove or: How I Learned to Stop Worrying and Love the Bomb, directed by Stanley Kubrick, 1964. © Sony/Columbia Pictures Industries Inc. Speakers include Emily Oberman and Scott Hansen (aka Tycho/ISO50). 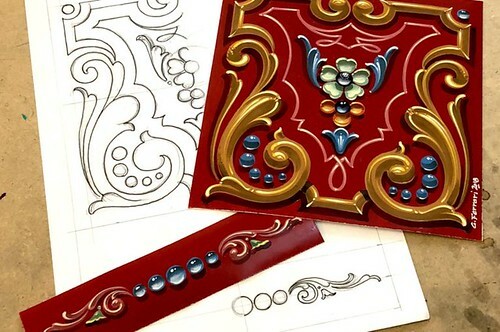 An evening class that introduces the traditional art of Fileteado Porteño, a style of lettering recently declared a World Cultural Heritage by UNESCO. The workshops, which are held in London, Warsaw and Berlin (4–5, 7–9, and 11–12 of May respectively), are led by Fileteador Gustavo Ferrari. 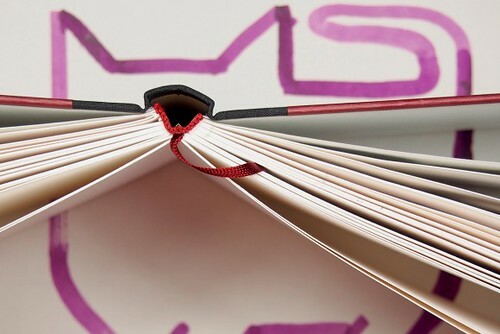 An annual conference that provokes alternative ideas on the role of design in the shaping of society. 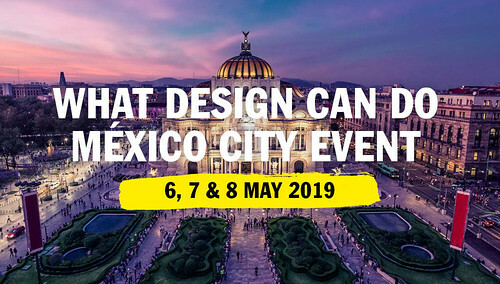 Speakers include: actor & activist Diego Luna, Mexico’s Minister of Foreign Affairs Marcelo Ebrard, and design critic Alice Rawsthorn. Jessica Helfand and Michael Beirut, editors of the Design Observer platform and its recent publication Culture Is Not Always Popular: Fifteen Years of Design Observer, host a panel discussion with a group of the book’s contributors, including Adrian Shaughnessy, Alice Twemlow, and Rick Poynor. 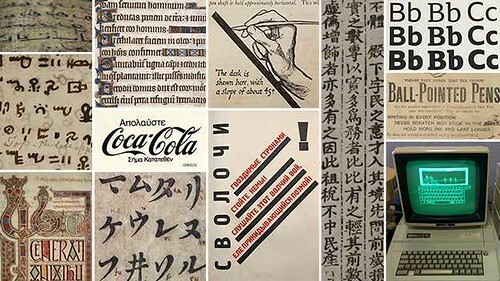 Typeface designer Toshi Omagari gives the Letter Exchange lecture and will talk through Wolpe’s legacy and his revival works. Lecture starts at 6.30pm prompt: members £7, non-members £10, students £5. A Berlin-based lettering festival comprised of three days of exchange and inspiration in the form of lectures, professional workshops and networking opportunities. Speakers include: Inga Plönnigs, Ivan Castro, and Chris Campe. For a list of the workshops and lectures delivered in English, see here. 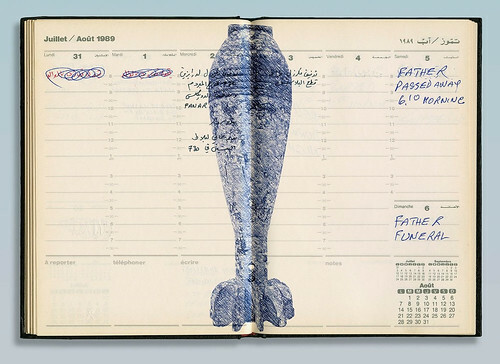 An exhibition covering the work of the Lebanese-American artist Walid Raad, and his philosophical, political, yet witty, vision of the Lebanese Civil War and recent developments in contemporary art in the Middle East. The exhibition features video, photography, multimedia installations, performances and a new work drawing on Raad’s recent projects. The second edition of Chaumont’s International Biennale, an extension of the famous poster festival of Chaumont. 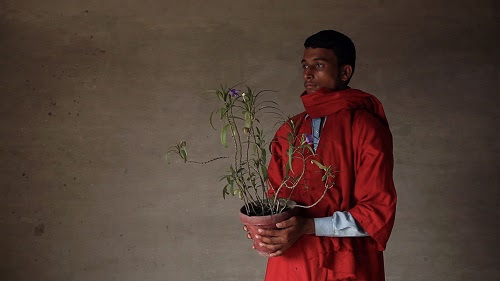 Alongside a number of lectures, workshops and conferences, the Biennale will also host the Post Medium exhibition, showing works by artists such as Roosje Klap, Laura Knoops, Josh Schaub, and, for the first time in its history, a series of animated posters. A series of talks from various figures in contemporary magazine publishing, from both established and emerging independent publications. 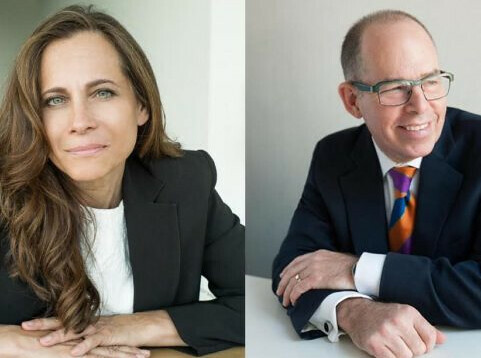 Speakers, such as Nicholas Blechman of The New Yorker, Veronica Ditting of The Gentlewoman, and Nathalie Kirsheh, creative director of Glamour’s online-only US edition, will focus on what the term ‘Magazine’ means today. 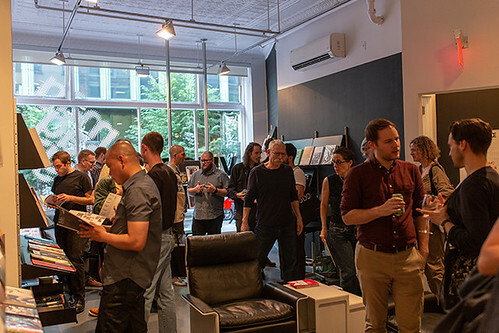 A satellite of magCulture’s London shop at Vitsœ’s new store in the heart of New York City. Coincinding with ModMag NYC and NYCXDESIGN, this pop-up shop will include the best international and New York-based titles, alongside a free series of events with local editors and art directors. 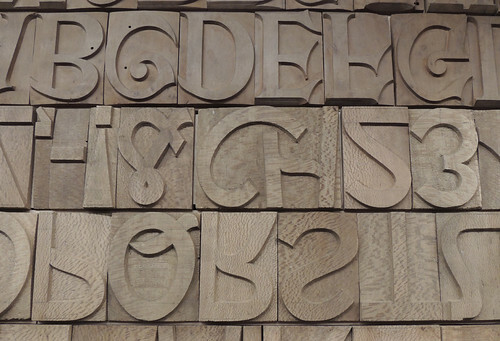 Our last Type Tuesday, ‘Hacking Gutenberg’, sold out ten days ahead of the event. 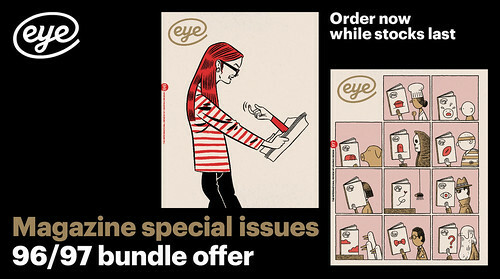 This event will focus on the contents of Eye 98, a type special. Look out for further details by signing up for the editor’s regular newsletter here and visit the St Bride ‘What’s On’ page. Alongside entertaining and provocative talks, there’s also a free glass of fizz on arrival and a chance to buy bargain back issues of Eye magazine. Next Type Tuesday, 3 September 2019. 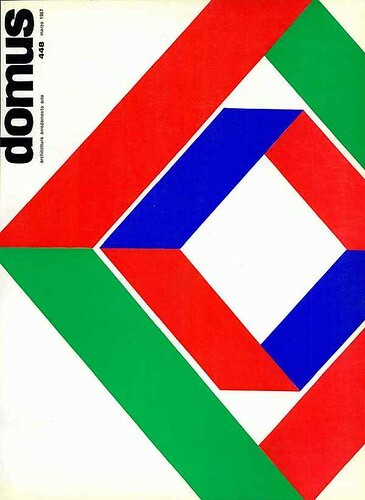 Italy’s annual conference on typography and web typography. 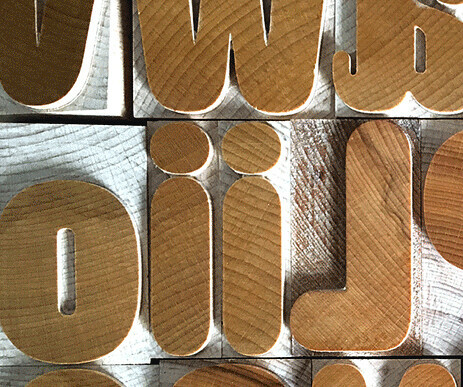 This year, centred around the theme of ‘wor(l)ds’, Kerning will feature 8 speakers, 8 ‘masters of industry’, and will cover a range of topics within typography and digital communication. A survey of Japanese manga, the popular art form, told through the work of the artist Urasawa Naoki. The exhibition will display over 400 original drawings and storyboards. Above: Urasawa Naoki, Monster, 1995. 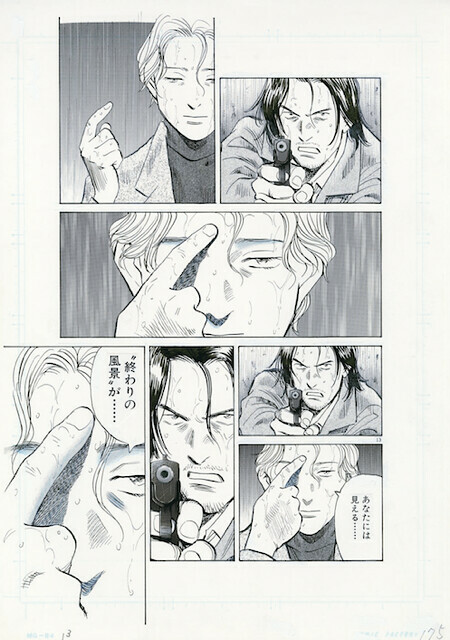 © Naoki Urasawa / Studio Nuts. Speakers include Nadine Chahine (see Eye 94), Dan Rhatigan (see Eye 84), Maria Smith (Interrobang), Craig Oldham, Brendan Dawes and Fully Justified. The 2-day Typographics conference will be held on 14-15 June. A retrospective survey of works by contemporary artist Cindy Sherman, exploring the development of her practice from the mid-1970s to the present day. Above: Cindy Sherman, Untitled Film Still #15, 1978. 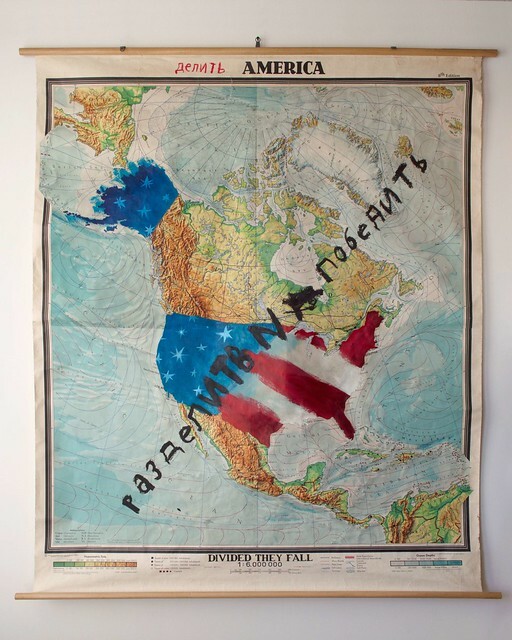 Image courtesy of the artist and Metro Pictures, New York. No prior experience or background in letterpress printing or typography is required to join the Tipo Cibo Vino workshop. Cost is $3850 [$3300 early bird discount]. Space limited to twelve participants. 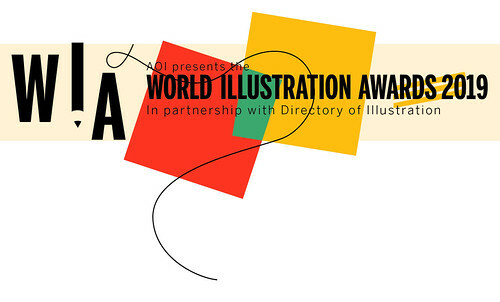 An exhibition of 200 shortlisted works judged by an independent jury to reflect the ‘cultural importance of contemporary illustration across the world’. Entry is free. Alongside entertaining and provocative talks, there’s also a free glass of fizz on arrival and a chance to buy bargain back issues of Eye magazine. magCulture’s annual day of talks celebrating the culture of magazines. Speakers to be confirmed.